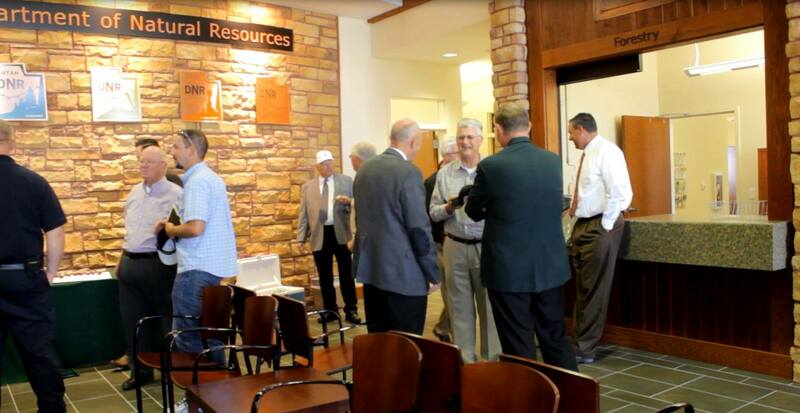 CEDAR CITY — Members of the Utah State Legislature, Department of Natural Resources and the Cedar City community came together Monday afternoon to celebrate the opening of the new DNR Southwest Regional Complex. 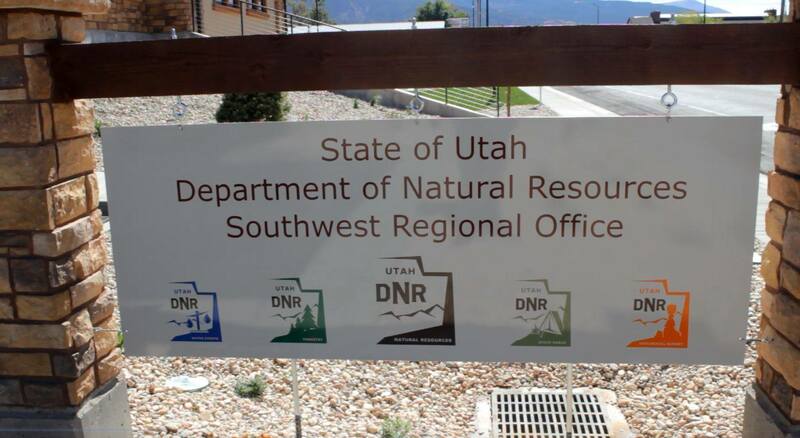 The new office, located at 646 N. Main Street in Cedar City, is the third of four regional DNR buildings planned in the state, and houses employees from a variety of different departments such as state parks, forestry and geological surveying. Prior to the regional office, DNR Executive Director Mike Styler said, DNR employees were scattered throughout the Cedar City area in rented locations. The new office allows them all to finally come together under one roof. The process of getting all of the different departments under one roof, he said, has been an ongoing project 10 years in the making. It began when the DNR approached former Cedar City mayor, Gerald Sherratt, and asked for assistance in finding a location to put their new building. The other two office buildings are located in Price and Vernal, Styler said. A fourth office is planned to be built in Richfield, pending land negotiations. 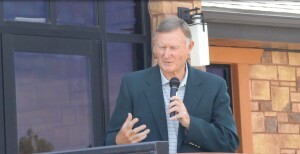 Prior to the ribbon being cut, several speakers took to the podium and offered their gratitude to those who helped make the building possible and shared their excitement with what the new facility could help bring to the area. One of the things special about the facility, State Sen. Evan Vickers said, is that local contractors were the ones hired to erect it. 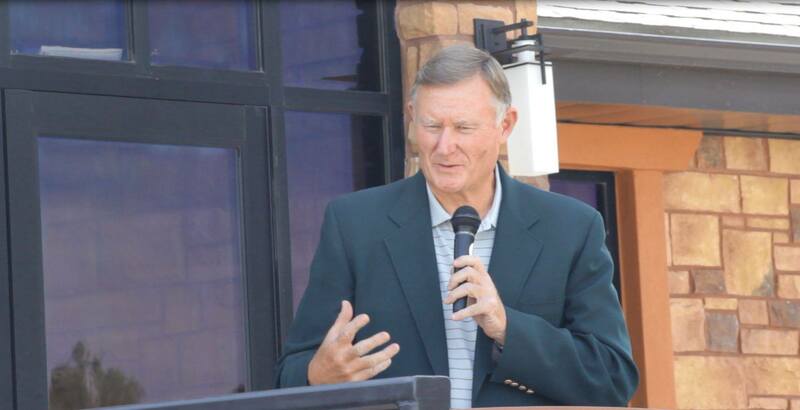 Having worked closely with DNR representatives in the State Legislature, Vickers said he is also excited to see people he has come to know quite well finally get a new place to work. Because his involvement in the project stretched all the way back to the beginning, Sherratt also spoke to the audience. Prior to the new office, Sherratt said, he was always getting complaints from people about the state of the plot of land because it was constantly covered in weeds and junk. The new building, he said, was a large improvement. The new office will serve as the department’s home base to over 100 DNR employees who live and work in southwest Utah. The building was designed by Scott P. Evans Architect and Associates, and constructed by general contractor Carter Enterprises. Ed. note: Spelling error in “southwest” in headline corrected Sept. 29.